I have been trying different air pressures in my Mickey Thompson drag radials, and still have not found them to be consistent. 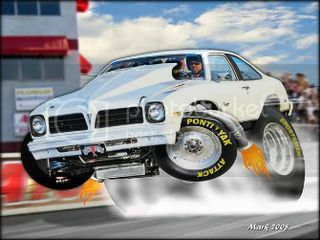 Some people have said to run them over 20lbs, other say they should be run as low as regular slicks. Some say its ok if the sidewall gets some wrinkles, and others say its bad for the radial sidewall to wrinkle. I am just looking for anyone who is using radial slicks, and what kind of pressure is working for you. 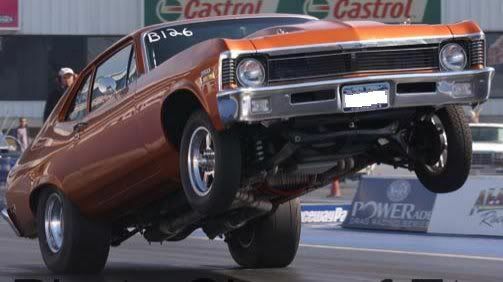 I have been uisng them on a 67 Chevelle with a ZZ502, and sometimes I get great traction, and other times they spin. I am planning on going down tomorrow night, (Thurs.) to run it again, Any info you may have on these tires would be appreciated. i don't know who told you wrinkles in the sidewall is bad. Wrinkles mean its hooking. Run the air pressure slightly more than you would slicks. 15psi should be a good starting point. Other than than the hooking issue is probably in your suspension setup, not the tire. We run the 295-65 ET Street Radial with a 10" rim on a 3320 lb Firebird with leaf springs, Cal-Tracs, Turbo 400, 4.11 gears and a 383 pump gas smallblock and it has had a best 60' of 1.496 and consistently has 1.50's and we run 18 lbs of air pressure. These are the DOT tires, but I would believe the slick is the same basic construction, but maybe not. Good luck tomorrow. It's that time of year again, my daughter will be participating in The Polar Bear Plunge to benefit Special Olympics of Maryland. Hey Guys, Thanks for the info. 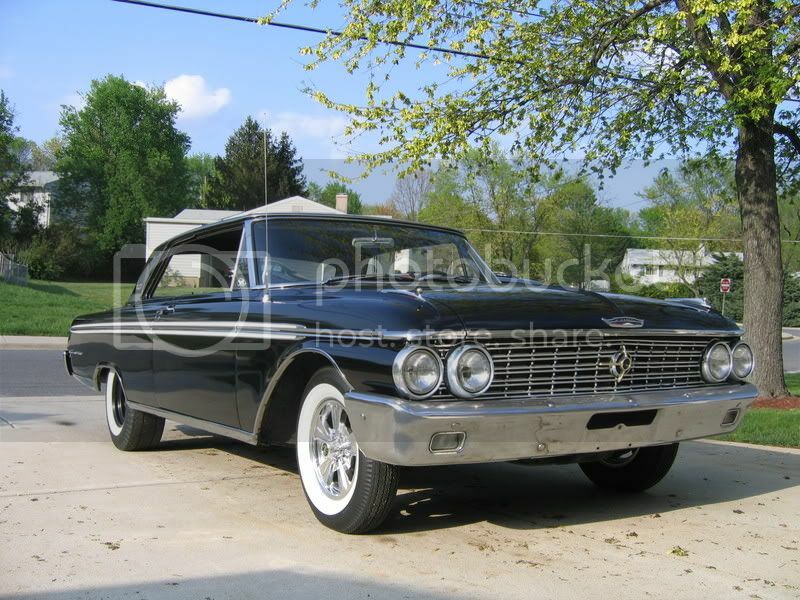 As far as the suspension goes I have a Currie 9In. with the Currie lower tubular control arms and Currie upper adjustable control arms, with air bags in the springs. Here is a link to pictures of the car. Thanks again for the help. I was at the track last week with them. 15 spun and 13 hooked and I broke my upper torque box! Go with 13! lol. It was very stable up top too at 115mph no probs! 18 psi. Never found any need to go lower than 16 psi, 18 always worked well. If your having troubles on a good track, then look at the front suspension. The radials might struggle on marginal tracks, just the nature of the stiff sidewall. The better setup your chassis, the better your results will be. Lowest i ever run them is 15 after the run they are up to 18 anyways.Not sure what they are right after the water box,at the line.I imagine 18 psi.I'm actually going to see if i can up the pressure and see what happens.I only have a best 1.63 60ft 11.44 at 119 mph in a 3500 lbs car, so take it from there.But the key is a a working suspension.Still working on that part. Just because it looks fast doesn't mean it is. I run my Hoosier Radial slicks at 17-18#. 1.38-1.43 60' depending on the day/track. ditch the air bags and set up a anti roll bar !!! we have used stock style supensions with all stock mounting points ,springs and shocks into the 1.50 range . and low 10's .the problem is the geometry is wrong for your output . .elliminate twist and squat first then you can play harder and quicker with power and shocks untill you cant hook it at the next level and the whole thing will start over again . a good point for 11 sec. cars is the lower bar being paralel with the ground by using a lighter rear spring to drop the rear body down . i just passed you with my floor sweepings!!!!! got alky ? get injected!! !!!! We found ourselves in the S/SS pits at the GBM Mopar Nationals last July, and after talking to several "pros" around us, we started running our Hoosier 30x9-15 radial slicks at 22-24 psi, depending track conditions. We had tried pressures from 18-20 and found the car unstable at the top end with inconsistant 60' times, and noticed the Stock-SS crowd ran similar radials anywhere from 18-26 psi. Figured they must know something. i don't know who told you wrinkles in the sidewall is bad. Wrinkles mean its hooking. This is a RADIAL slick...Wrinkle means you are not running enough air in the tires therefore you are leaving ET on the table. To the original poster...The problem is in your CAR, not the tire and in fact I'm willing to bet the problem is more than likely in the front of the car. Everybody talks about the back of the car, when in reality the rear suspension means nothing unless the front is properly setup. There's no magical rear suspension components that all of a sudden make the car work...It's having the right combination. 20psi should be a good place to start on these, the more the better but if you have to drop to ~18psi it's not the end of the world..Do not go below 15.